There are some public restrooms available on the street, but one can find more in institutions, restaurants, train stations and in fast food or other shops. 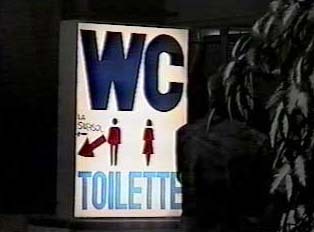 Public restrooms are separated by gender, usually cost a small amount (have change handy), and are checked by an attendant. Hours of operation vary. Click on the text to hear the spoken phrase. "Where is there a restroom?"